Decrease the time in "transition mode" between displacement and planing. Reduce fuel consumption, laboring of engines, hull stress, wake and pounding. Eliminate squatting, listing and porpoising. Increase speed and improve visibility and handling. Standard trim tab package contains: Two stainless steel trim tabs Two actuators A hydraulic power unit All necessary wiring, tubing, hardware and installation instructions. Euro-Style Rocker Switch Control. 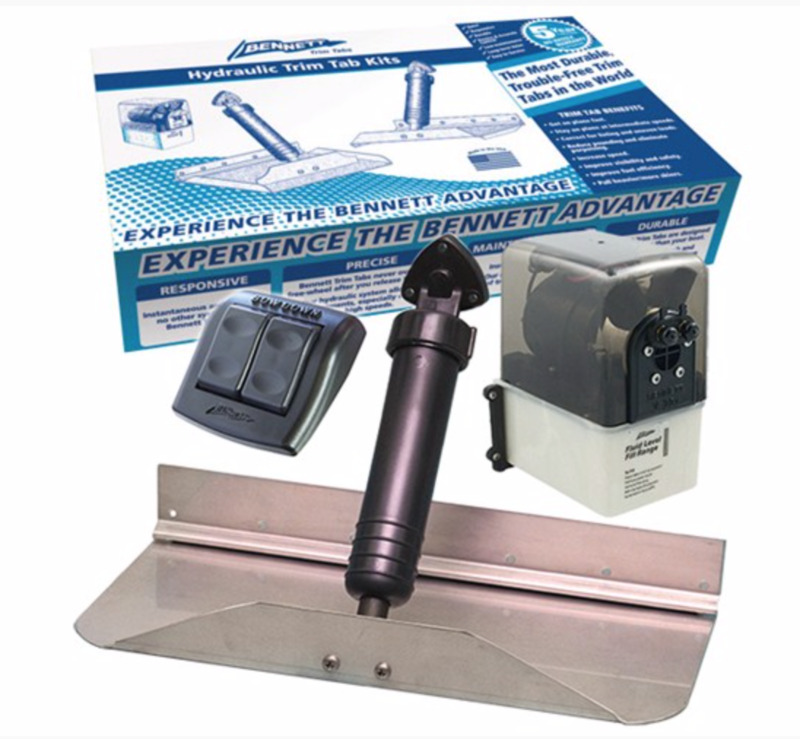 All kits are with Standard Transom Mount.